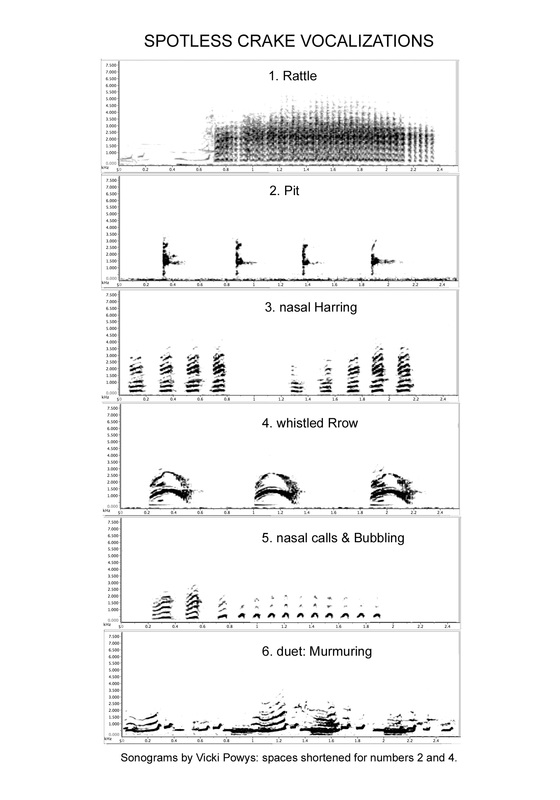 This article on Spotless Crake vocalizations was published in Audiowings, the journal of the Australian Wildlife Sound Recording Group, in June 2013. 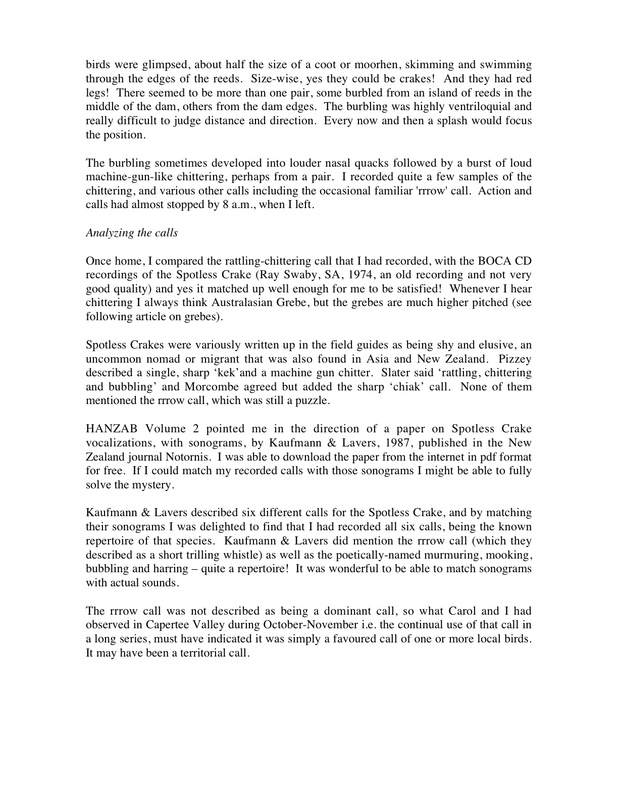 The accompanying sounds were recorded by me and are copyright. They were included on Audiowings CD # 29. 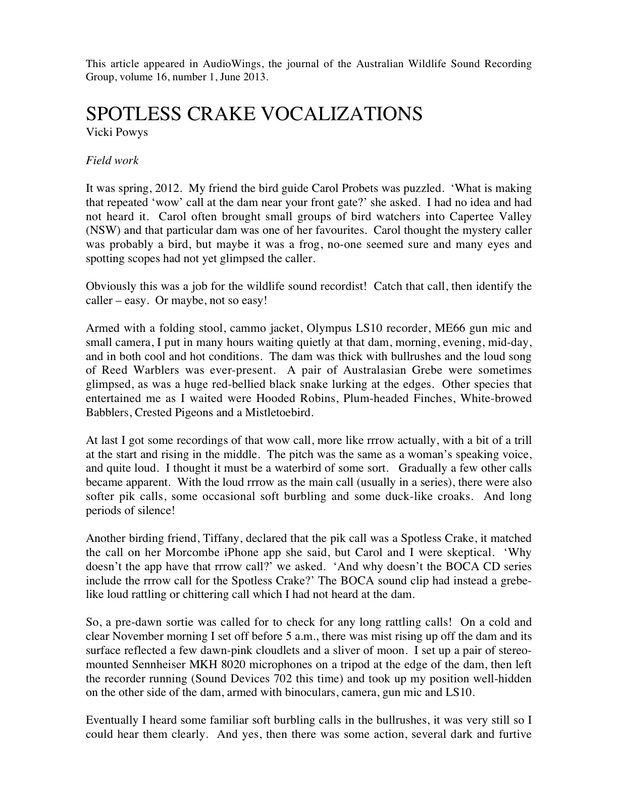 These vocaliations of the Spotless Crake are copyright to Vicki Powys and were included in Audiowings CD # 29. 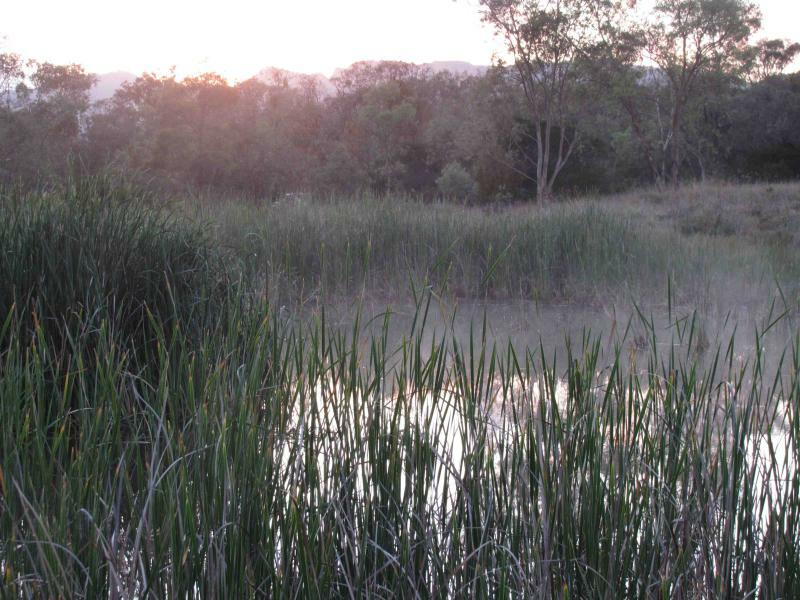 This is the dam in Capertee Valley NSW, where I recorded the Spotless Crakes. It was just before sunrise with mist rising up off the water, and thick reedy vegetation. November 2012. Page created 2014 and upgraded 5 June 2017.